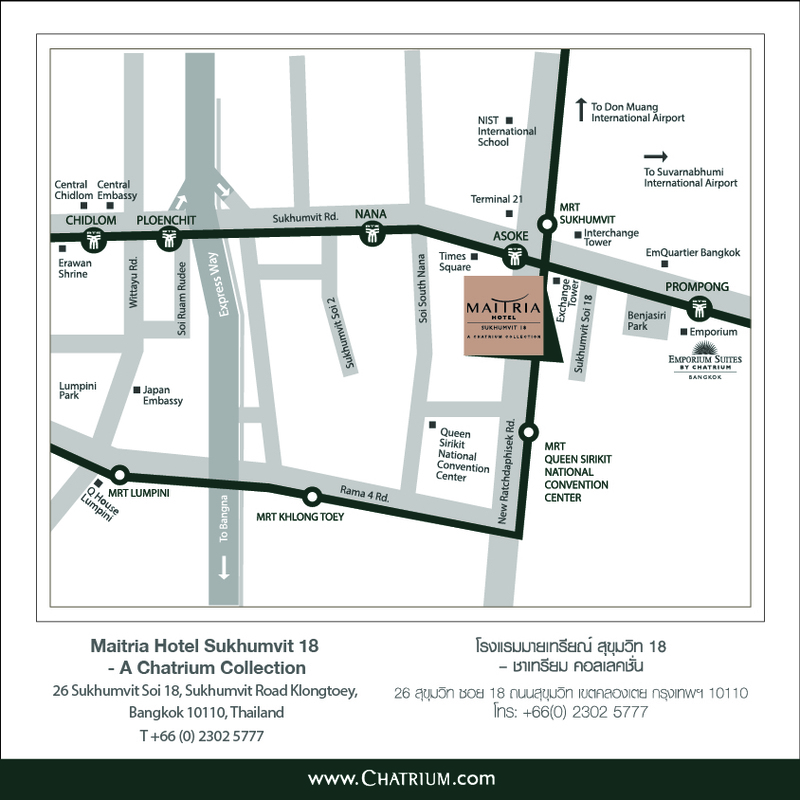 If you want to be in the heart of it all when you visit intoxicating and irresistible Bangkok then there’s really only one place to be – Maitria Hotel Sukhumvit 18 – A Chatrium Collection. 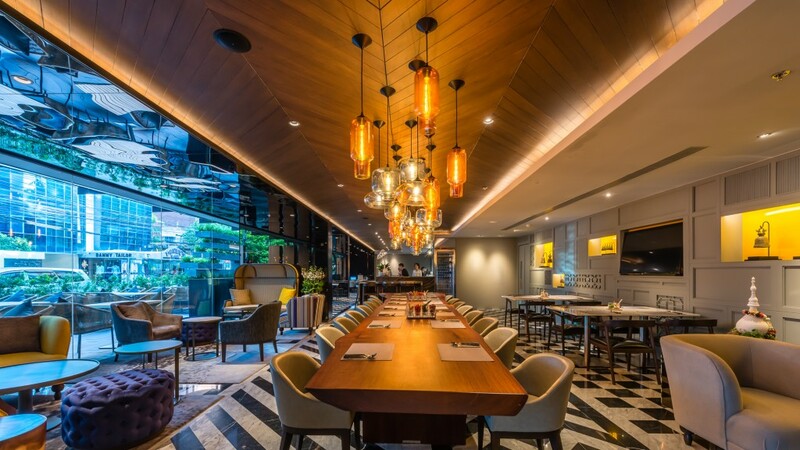 As part of the renowned Chatrium Hotels and Residences Group whose properties are a byword for superlative levels of comfort, facilities and service your time at Maitria will transcend that of a mere stay but instead will become an experience packed with a lifetime’s worth of memories. 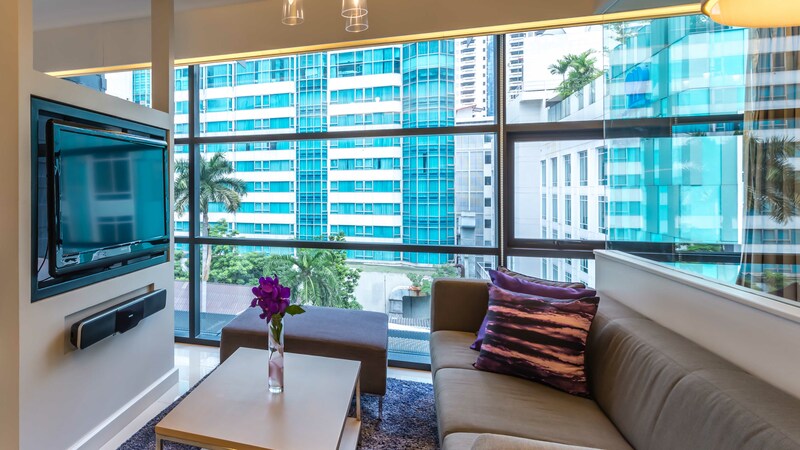 Guests will want for nothing at Maitria whose concept embodies that of a modern lifestyle hotel for discerning visitors who insist on nothing but the best during their global travels. Located in Sukhumvit Soi 18 just off the world-famous Sukhumvit Road all 131 guestrooms and suites are replete with all the necessary amenities ( plus a few extra Maitria touches) required for a cosseting and comfortable stay including super-soft beds with luxury cotton linen, goose feather down duvets and a signature pillow menu, 42” LCD TV with a full range of international cable channels plus a sound bar home theatre system and DVD player, complimentary high-speed Wi-Fi and a fully-equipped kitchen with a complete set of crockery, cutlery and glassware meaning once you check-in it’s certainly going to be hard to check-out! 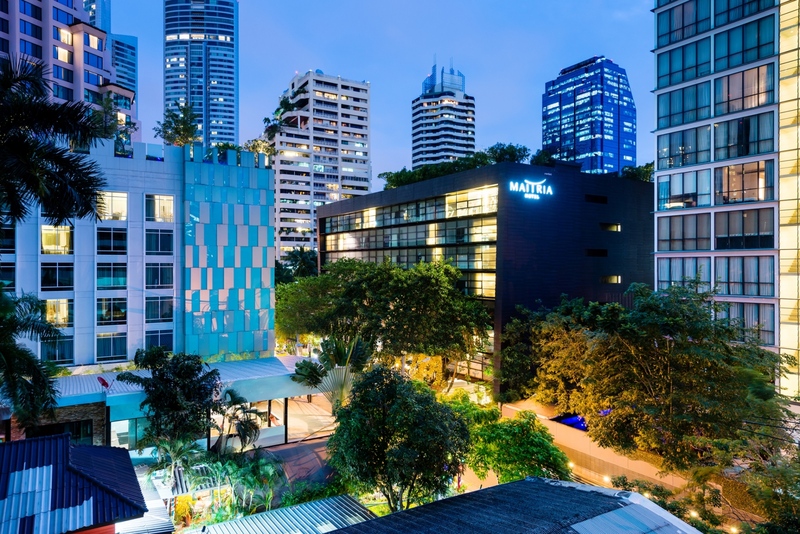 But what’s a vacation if you’re going to stay in your (admittedly gorgeous) Maitria room when Bangkok’s most hip and happening street is but a stone’s throw away? A short stroll down Soi 18 will bring you to the bustling Sukhumvit Road, where every type of shopping, dining and entertainment imaginable is yours for the choosing. From the latest collections of the world’s top fashion houses to bargain basement clothes, shoes and accessories, from exotic street food to imported delicacies from around the globe, from luxurious mega-malls to haggle-friendly local vendors-it’s all here and more. Bangkok’s iconic EM District consisting of the imposing Emporium and EmQuartier malls is a mere 14-minute walk for the ultimate in shopaholic and gastronaut opportunities and in the other direction an 8-minute wander will bring you to Terminal 21, with its airport-inspired décor and a host of local and international brand names and restaurants. Adjacent to Terminal 21 are both the BTS Skytrain Network and MRT Underground System so getting around the capital is a breeze. 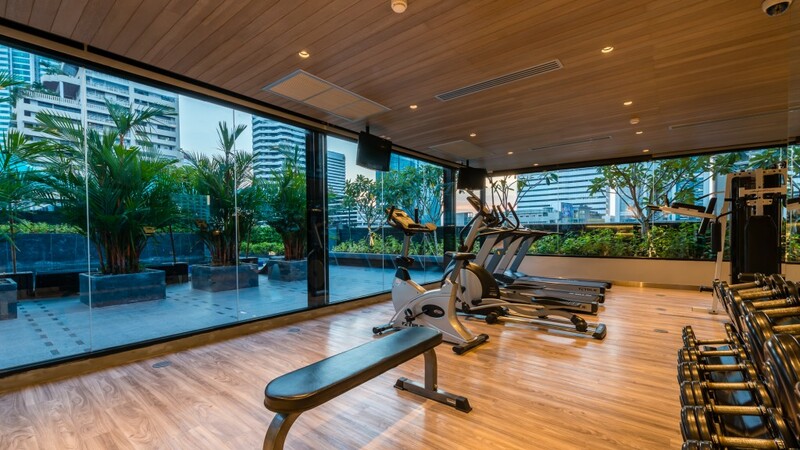 And if your holiday is never complete without an encounter with a Velociraptor Bangkok’s latest high-tech marvel Dinosaur Planet is under 10 minutes on foot from the hotel for you to get your daily Jurassic fix. And if the thought of all that is tiring you out just by reading it Maitria is ready and waiting to provide you with the perfect urban escape. For a simply sublime dining experience Metta Eatery and Bar on the ground floor is a must for delightfully authentic and creative cuisine with a unique Metta twist from every corner of the Kingdom plus an eclectic choice of fresh Thai coffees, international beers and a cocktail list to die for, served from 6 a.m. to midnight in a loft-type atmosphere with signature Padauk long tables and armchairs that are just begging to be sunk into. 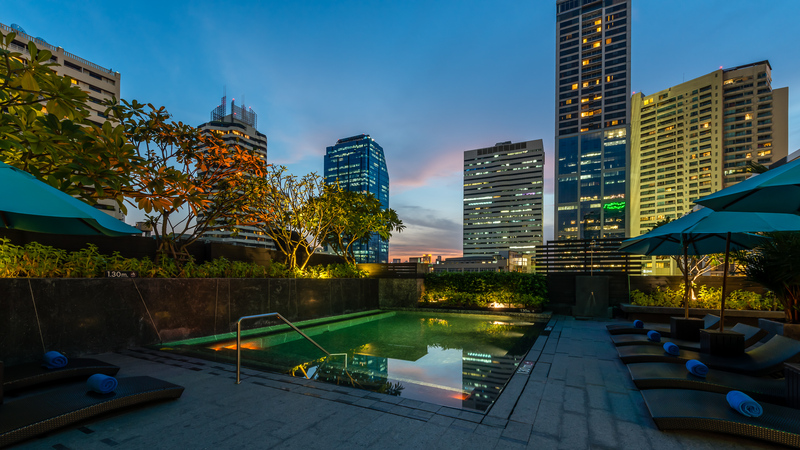 Plus if you’re an aficionado of the art of taking it easy Maitria offers a rooftop plunge pool for a cooling dip complemented by a sundeck to top up your tan, a fully-equipped fitness centre and the hotel’s very own putting green for any budding PGA Tour champions out there. 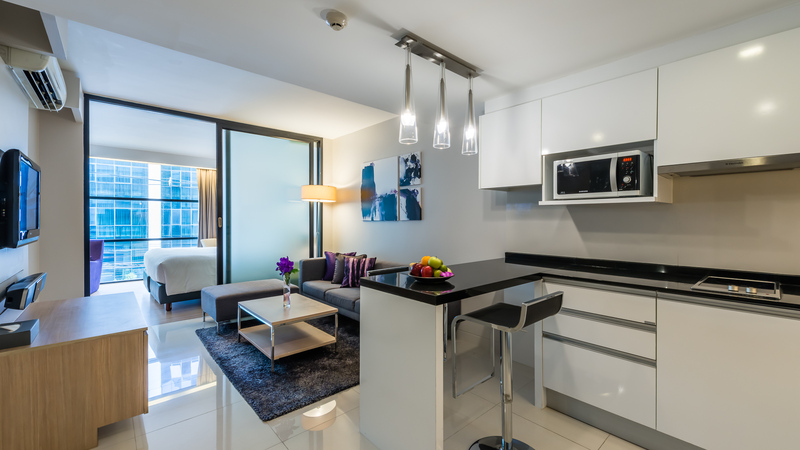 So the savvy choice of a place to stay for savvy travellers like you is very simple really. 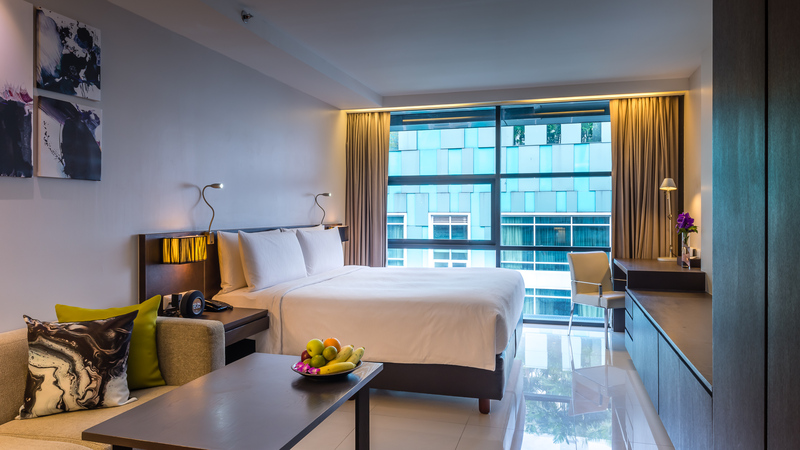 For the ultimate in comfort, convenience and facilities in the very heart of town book a stay at Maitria Hotel Sukhumvit 18- you won’t regret it.